Inscribed ‘Premeti’ (in Greek) and dated ’17. April. 1857.’ (lower left) and extensively inscribed with color notes. Pencil, pen and brown ink and watercolor. 11 7/8 x 20 ½ in. (30.5 x 51 cm). 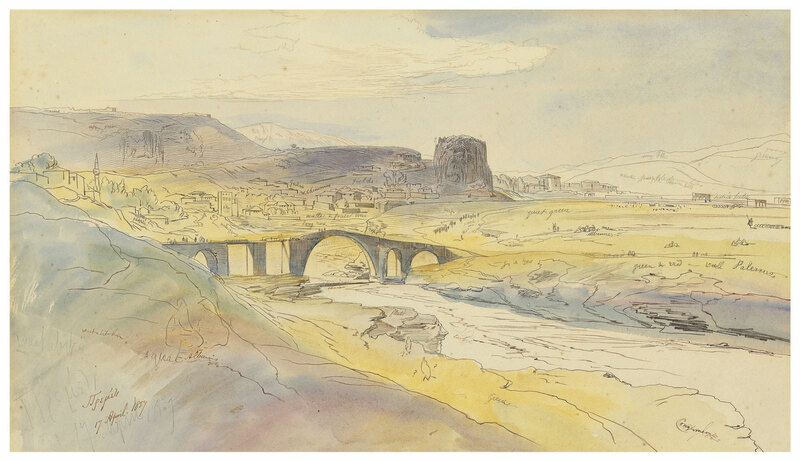 This entry was posted in Edward Lear and tagged Albania, Edward Lear, landscape, travel, watercolours. Bookmark the permalink.